The first thing you notice is the standing water in the roadside gullies, even though it hasn’t rained in a week. Then, you notice the small houses and churches all teetering on concrete blocks or bricks four or five feet above the muddy, soft ground. But driving down Maryland Route 335 toward Hooper’s Island, it’s the trees that give you the deepest pause. Thousands of pine trees have been stripped bare of their needles, branches, and brown bark in this part of south Dorchester County. Ramrod straight, white as ghosts, the hollow trunks look like some kind of zombie deadwood, the staggering aftermath of an unfolding calamity. Which, it turns out, is exactly what they are. Riley, 53, grew up in the nearby small town of Crocheron and has lived on Hooper’s Island—the original home of the state’s century-old, family-owned Phillips Seafood—for 20-plus years. 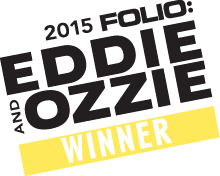 Technically, he lives in Hoopersville, the middle of Hooper’s string of three islands. Well, two islands now. Or maybe one and a half. A dozen years ago, Hurricane Isabel swept the bay across the island, flooding and destroying Riley’s house, among many others. He says he considered leaving, but ultimately rebuilt with the help of a Federal Emergency Management Agency (FEMA) grant and a low-interest loan. “They only offered the money if you built on the same site,” he says. “What else was I going to do?” His home now sits on a foundation that’s five cinderblocks high, but other issues press. The causeway from the upper island, known as Fishing Creek, to Hoopersville has begun flooding at high tide most of the year. A couple of years ago, when Riley needed to replace his old Chevy truck, he went with a bigger, taller Silverado, in large measure just to get home safely from work. It is not just Maryland’s Eastern Shore islands that are in danger of disappearing beneath the surface because of global climate change and rising sea levels. In truth, 13 of the lower bay’s charted islands, many of them once inhabited, are already gone. Even more alarming are stories foretold by the interactive displays at the visitor center at the Blackwater National Wildlife Refuge in nearby Cambridge. Those models show that by the end of the century more than half of Dorchester County, the third-largest county in the state in terms of land area, will be under water. 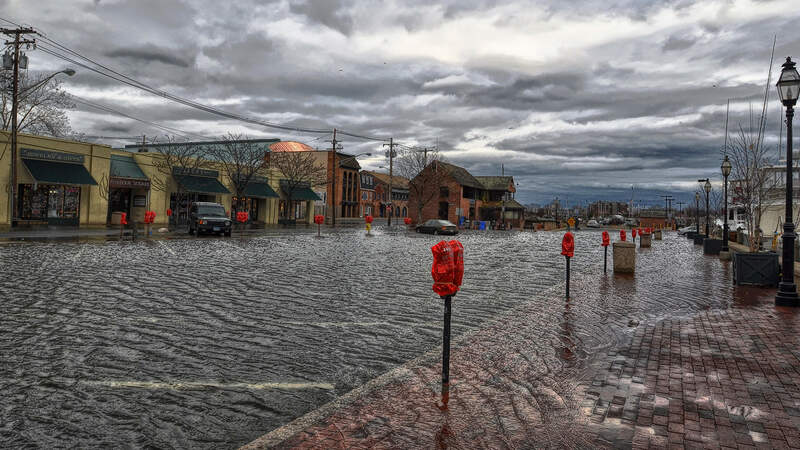 Of course, much of the Eastern Shore—most urgently, the lower counties of Dorchester, Wicomico, Somerset, and Worcester, which includes vacation haven Ocean City—is threatened by rising seas, erosion, tidal flooding, and storm surges. So, too, are western shore small towns in Anne Arundel, Harford, and eastern Baltimore counties. The question really isn’t what will be lost anymore, but what we will decide to save. 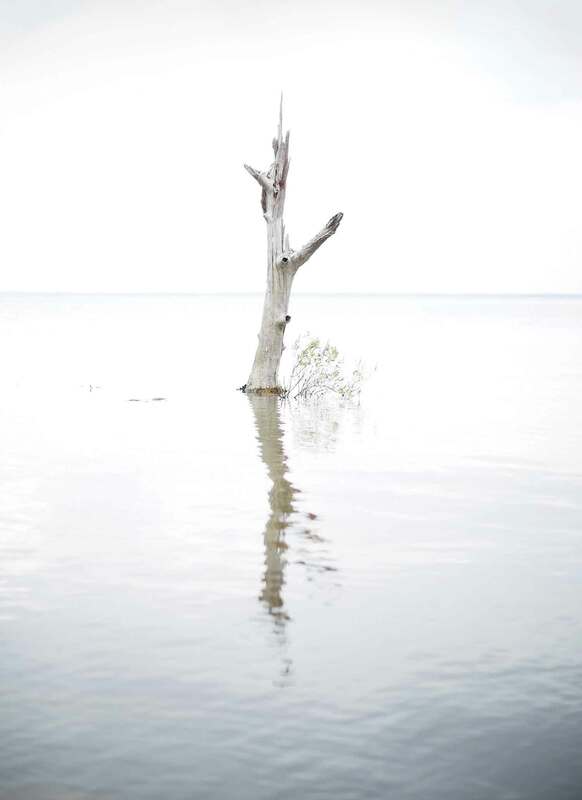 Due to the region’s geology and Atlantic Ocean currents, sea levels in the Chesapeake Bay are rising twice as fast as the global average and are projected to jump by as much as two feet in the next 35 years, and up to five feet or more by the end of the century. 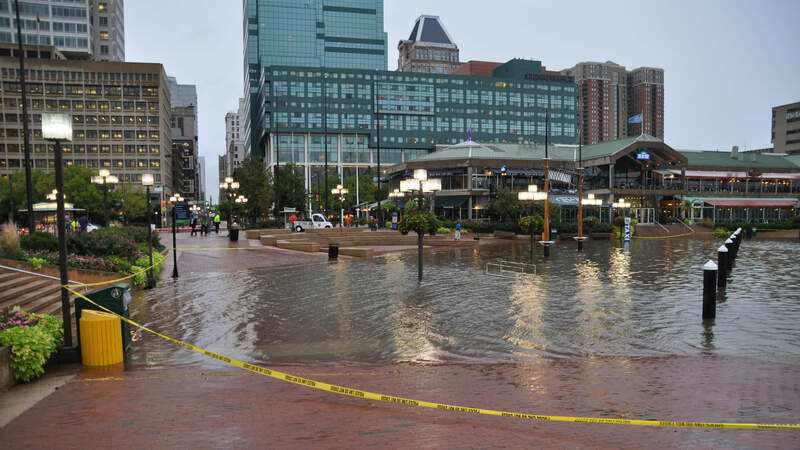 That leaves the state’s two largest cities on the bay vulnerable: Baltimore, with its iconic waterfront and port, and the state capital, Annapolis, with its historic city dock, will be challenged like never before in the coming decades by near constant flooding. So-called “nuisance flooding,” when storm drains get overwhelmed and water pools two or three feet deep, has already become more commonplace here than anywhere else in the country. Floods have already increased by more than 900 percent in both cities since 1960. Some projections call for 225 or more such floods a year for Baltimore and, essentially, daily inundation for Annapolis by 2045, according to a recent study based on National Oceanic and Atmospheric Administration data. Water entering the house was something that had never happened in the 80-year history of McCoy’s home. The ductwork in the basement needed to be replaced, and soon she and her husband, like certainly thousands more in the coming years, had to start making decisions about a future that they hadn’t considered previously. Initially, they discussed landscaping options, and then, later, sought a bid from a contractor to move the house further from the river. Ultimately, moving the home, though probably necessary in the long run, was too costly at the time. McCoy had hoped to pass the family home onto her younger cousins, but now she’s doubtful that will happen. “I ‘Googled’ and found a Maryland Department of Natural Resources map showing that the Chester River will eventually be lapping at the foundations of my house,” she says. By our estimate, we should prepare for a sea level that’s going to come up to our knees by 2050 and then chest-high by the end of the century. One recent “never before” was Superstorm Sandy 26 months ago, which flooded the Inner Harbor, but mostly spared Baltimore City. Sandy walloped much of the Eastern Shore, including Ocean City and Salisbury, where the mayor instituted a civil emergency and a curfew during the storm. Sandy hit Crisfield, a town of 2,726 and the self-proclaimed “crab capital of the world,” very hard, with waves of white caps literally pouring into the heart of downtown and driving caskets up from their graves. At the Captain’s Carry Out on Main Street, which remained without power for days, the Little Annemessex River, at the mouth of the Tangier Sound, came rolling in halfway up the counter. With devastation to Long Island, NY, and the Jersey Shore grabbing the national attention, the fallout in Crisfield has been widely overlooked. The storm displaced hundreds of local families, some of whom never returned home, and, eventually, residents there began thinking about climate change in relation to the town’s precarious location on the Delmarva Peninsula. “It made believers out of everyone,” says former mayor Percy Purnell, whose own property, as far away from the shoreline as you can get in Crisfield, was inundated with two feet of water. “There’s no question sea levels are rising, in my mind. Every time you rebuild a dock here, it has to be built two or three feet higher than it used to be when I was a kid growing up.” The town has received money since Sandy from the Maryland Emergency Management Agency to install tidal gates in the town’s storm drains and is working with the U.S. Army Corps of Engineers to drop a series of breakwaters near the town’s shoreline. Two nearby barrier islands need be rebuilt to protect Crisfield as well. The town is also close to passing legislation requiring that the first floor of all new structures be elevated above ground. New homes receiving FEMA money have been elevated four to seven feet off the ground, in accordance with their regulations. [In terms of climate change], Sandy made believers out of everyone. In many ways, Crisfield, in making decisions where and how to rebuild, is on the forefront of a complicated, multi-pronged process that will play out over and over again across low-lying areas of the state. More than 40 percent of the homes and assets of Somerset and Worcester counties lie below the five-foot high-tide line, and more than half of Dorchester County lies below 4.9 feet above sea level. In Baltimore City, low-lying areas include dense commercial and residential districts such as the Port of Baltimore, Canton, and Fells Point, where most residents and business owners have already become dedicated sandbaggers in the wake of various hurricanes and tropical storms. Models show that the whole Inner Harbor would be at risk during 8-foot storm surges, which are projected to be a fairly common event by the end of the century. Other populated areas in Baltimore County, such as Middle River, Bowleys Quarter, Dundalk, and Edgemere, which already face severe flooding problems, will see an increase in storm surges, too. 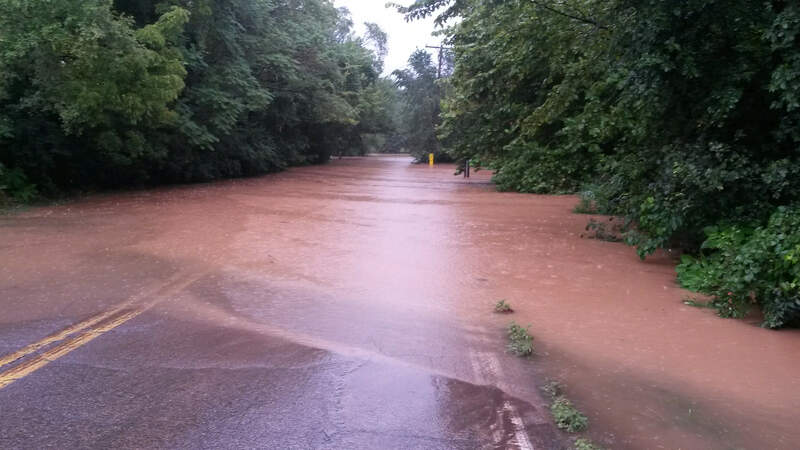 In Anne Arundel County, Glen Burnie is expected to see greater flooding and some residents of Shady Side and Deale could find themselves underwater by the end of the century. In Harford County, places like Joppatowne and Havre de Grace will be in greater harm’s way. Led by the University of Maryland Center for Environmental Science, the most recent state report recommends Maryland plan for up to two feet of sea-level rise by 2050, highlighting the need to build adaptation into the state’s natural and built environments. The study’s assessment only worsens moving forward, with a “best estimate” of sea-level rise of 3.7 feet by 2100 and the possibility of a 5.7-foot sea-level rise by the end of century. With 3,100 miles of tidal shoreline and 265,000 acres of rural and urban land situated less than five feet above the high-tide line, much of the state faces a significant increase in flooding in the years ahead. In fact, the mantra often heard in response to climate change and sea-level rise from federal, state, and local officials and planners these days is not prevention, but adaptation. The choices are generally presented as “defend, retreat, or accommodate.” The euphemism “managed retreat”—a mixture of the three, but not a phrase many politicians will want to be associated with—has also been thrown around among planners and climate scientists. In general, sea-level rise planning efforts for most counties and municipalities largely remain in the early assessment stages. 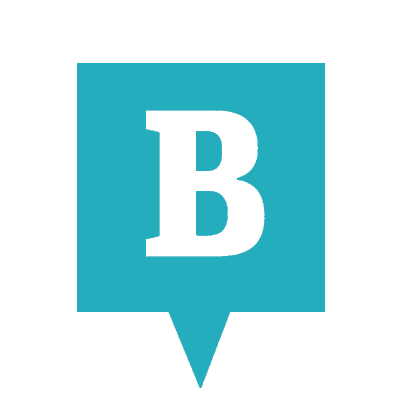 Considered at the forefront, however, the Baltimore City Department of Planning has created a new initiative: the Disaster Preparedness and Planning Project (DP3), which is addressing, among other issues, existing flood problems and expected higher sea levels. The city has already set new building guidelines to offset higher sea levels, including lifting the base elevation of new structures from one to two feet above the 500-year tidal flood plain. The DP3 also recently completed a report identifying vulnerable assets and critical facilities. While the powers that be in D.C. work to protect the national monuments on the Mall and New York City plans the initial construction of “The Big U,” a 10-mile, $335-million fortress of berms and moveable walls to safeguard lower and midtown Manhattan, compromises on the Eastern Shore (as the minister from Crisfield referenced) are already underway. 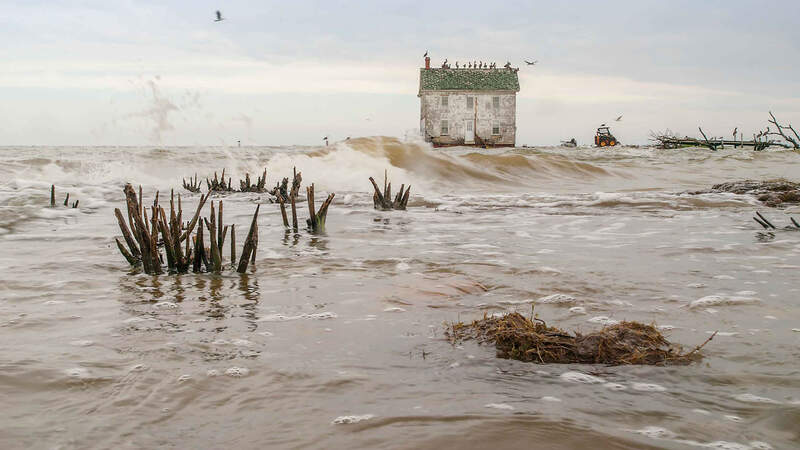 Several months after Sandy, state officials offered controversial buyouts to a number of homeowners on Smith Island, which is eroding and sinking into the bay. The buyouts seemed more practical than reinvesting in an island with 276 residents that, in the long run, appears doomed. On Kent Island, Gov. Martin O’Malley and the state Board of Public Works have sparred with local officials and developers over the addition of a big condominium project because of the potential impact on what they consider an already at-risk flood area and over-burdened environment. You can look at the Gulf of Mexico. You lose wetlands and you have Hurricane Katrina. Tidwell, of the Chesapeake Climate Action Network, believes that recent polls indicating support for additional clean-energy goals in Maryland at least offer hope for the future. He’s also pleased the state is at the forefront of reducing carbon emissions, noting that outgoing Gov. O’Malley made dealing with climate change a priority, signing legislation to reduce greenhouse-gas emissions by 25 percent by 2020. Now, Tidwell and his organization are trying to raise the bar on clean energy, pushing a new goal of 40 percent by 2025. THIS GRAPH CHARTS THE PROJECTED FREQUENCY OF TIDAL FLOODING IN THE NEXT 15 AND 30 YEARS. 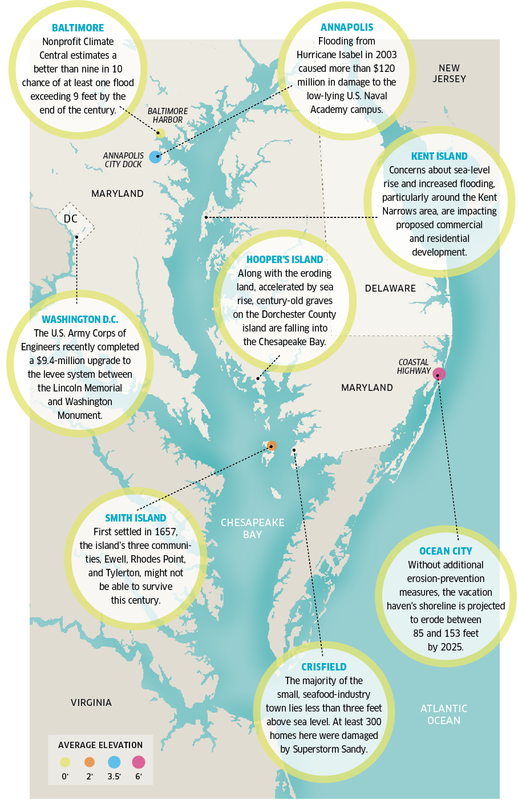 U.S. coastal communities, including those in Maryland listed to the right, are already dealing with more tidal-flooding episodes than in the past. As climate change pushes sea levels higher — through melting glacial ice and rising ocean temperatures, which expand water volume — flooding over the next 15 and 30 years is projected to occur much more frequently. 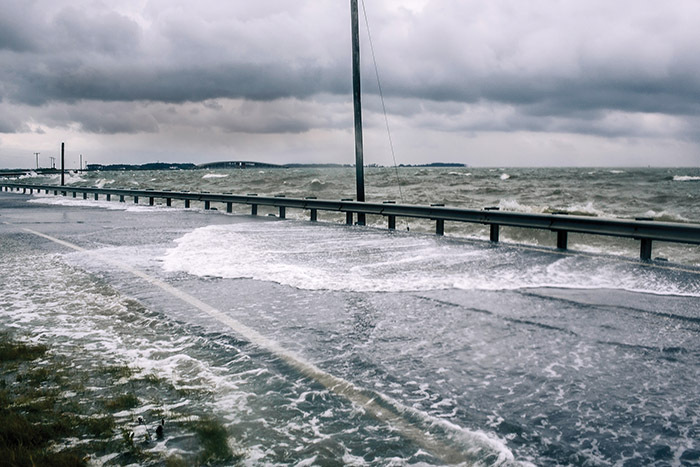 With rising sea levels also creating higher tides and greater storm surges, flooding will reach previously “safe” ground as well, and cause more disruption, particularly along the East Coast and Chesapeake Bay region, where sea levels are rising twice as fast as the global average. Unfortunately, this means that much of what we consider quintessentially Maryland on the Eastern Shore, including significant state natural treasures, such as the Blackwater National Wildlife Refuge and the Assateague Island National Seashore will be lost. Historic landmarks, too, such as Harriet Tubman’s birthplace and the museum planned in her honor are at tremendous risk. Historically, of course, Marylanders have long had to struggle with rising water levels and erosion. Before the 20th century, this was largely due to the slow subsidence of the land along the Chesapeake and Atlantic. With climate change accelerating the process since the Industrial Revolution, the problem is taking on a more serious existential threat for many Marylanders. On Smith Island, where the official Maryland state dessert, Smith Island cake, is still made by local women at the Smith Island Baking Company right off the dock, the looming threat to home, community, and a way of life, is never far from the minds of the remaining residents. A 45-minute boat ride from Crisfield, the island remains happily isolated from the harried pace of modern life and people here like the sunsets. It’s the last of Maryland’s inhabited lower bay islands not accessible by car. The post office is only open four hours a day and the public school, with 11 students, is the smallest in the state. Home to watermen, a few retired folks, and a couple of bed-and-breakfasts mostly catering to summer visitors, the island rallied after the state offered buyouts, turning them down and instead organizing a group called Smith Island United to fight for grants to build badly needed sea walls and jetties to slow down erosion, and, at least, delay what is most likely its fate. Erin Pruitt, who grew up on nearby Tangier Island, on the Virginia side of the bay, is one of the bakers at the Smith Island Baking Company, and like all the women working in this friendly atmosphere, she doesn’t want to leave. Only 26, she lived in Ocean City for a while before falling in love with a young man and moving to Smith Island. She admits occasionally missing the convenience of living inland, but she cherishes the slower pace and strong sense of community here. Lively and thoughtful, a white apron tied around her waist as she removes the nine-layer chocolate and coconut cakes from the baking racks, Pruitt pauses and looks down for a moment. “People ask, from time to time, ‘Do you think when you have kids and grandchildren that Smith Island will still be here?’” she says. “‘I hope so,’ I say. Online Exclusive! View the interactive rising sea levels map. View the full size map and type in your address to explore how rising sea levels are projected to impact your home or property in the Chesapeake Bay region.